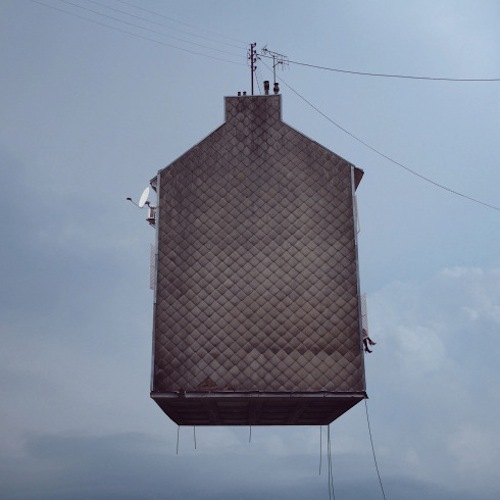 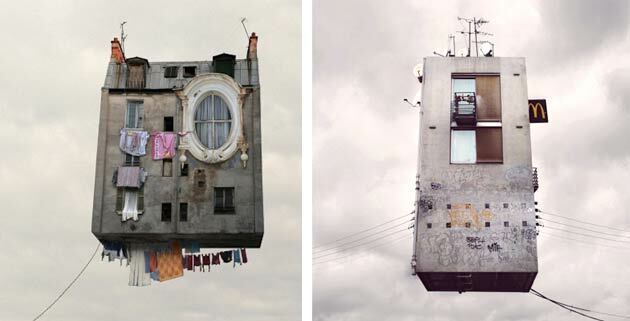 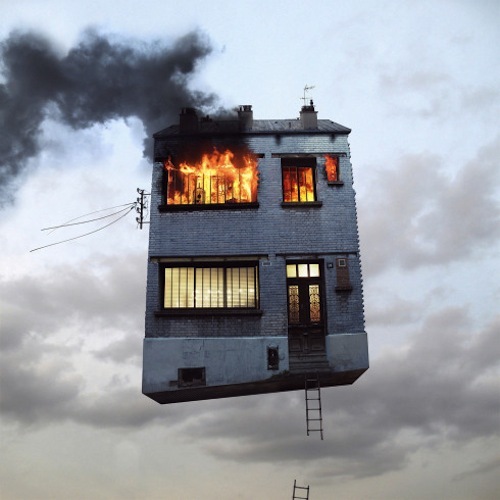 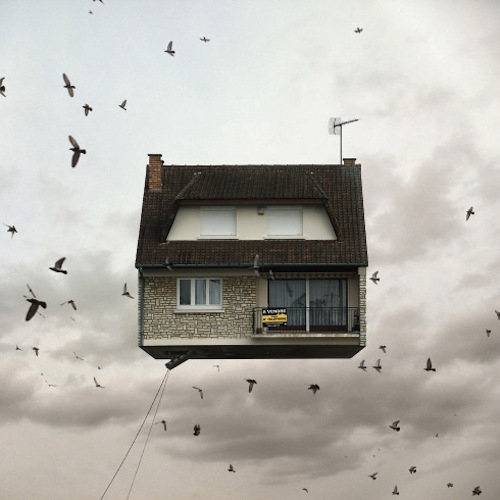 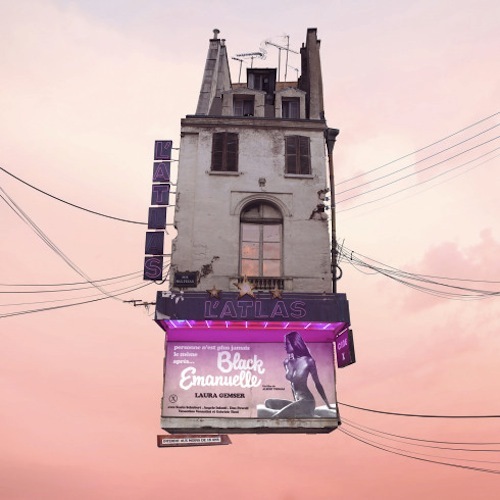 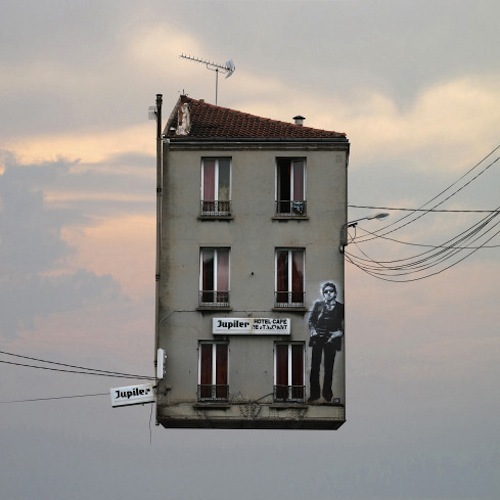 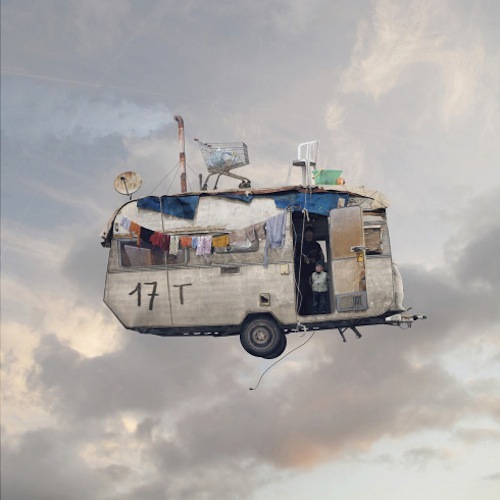 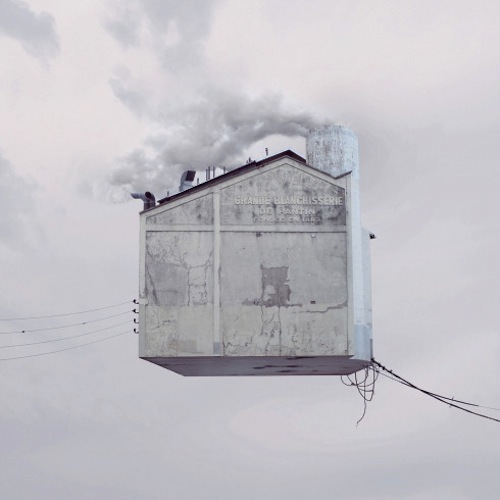 Paris-based art director-turn-photographer Laurent Chéhère has created a series of whimsical photographs featuring buildings that appear to be flying. 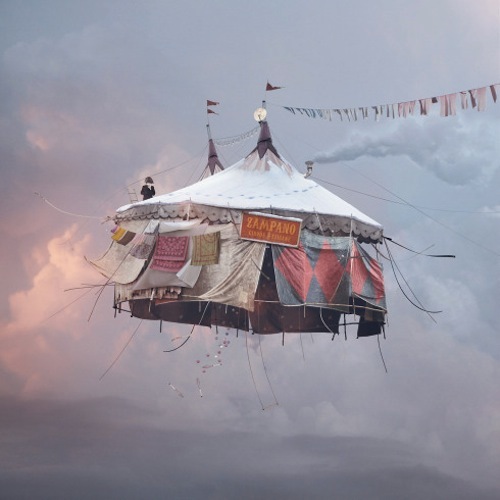 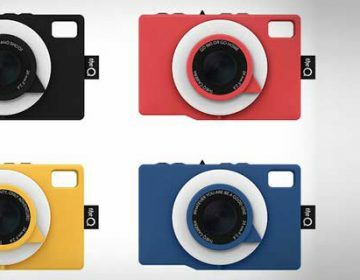 Inspired by “Le Ballon Rouge”—a 1956 French children’s short film—the part-analog and part-digital images are rendered in the same muted post-war color palette as the film. 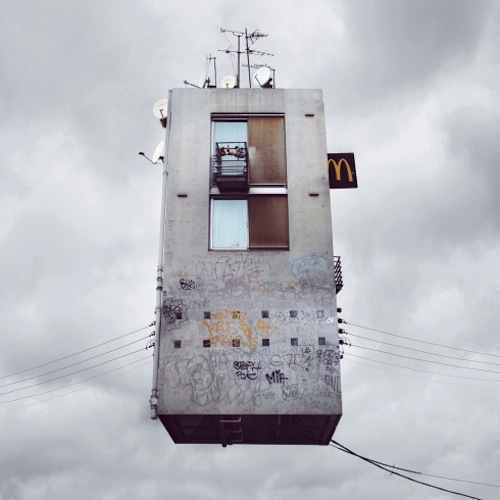 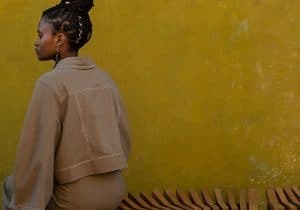 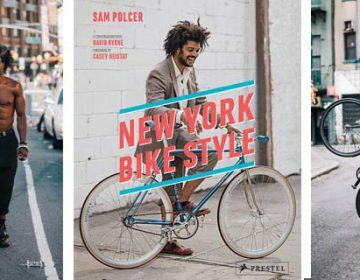 While they are an imaginative take on the City of Light, the pictures are not exactly child-like, playful and fun—instead, many of them reflect the darker elements of modern city living, including fast food, graffiti and real estate. 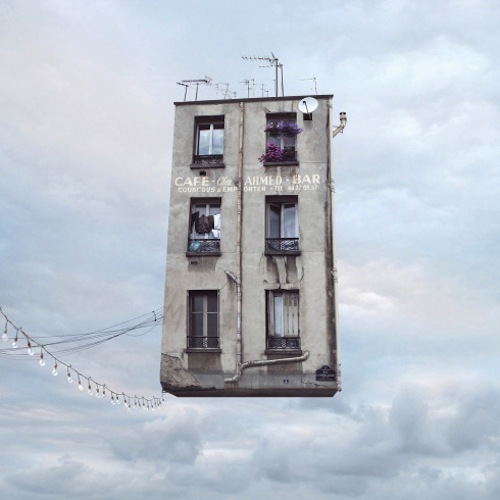 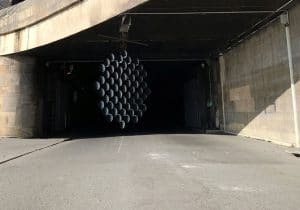 By digitally putting together architectural details that he photographed around Paris, Chéhère was able to create fictitious buildings that may still look a bit familiar to the city’s residents.